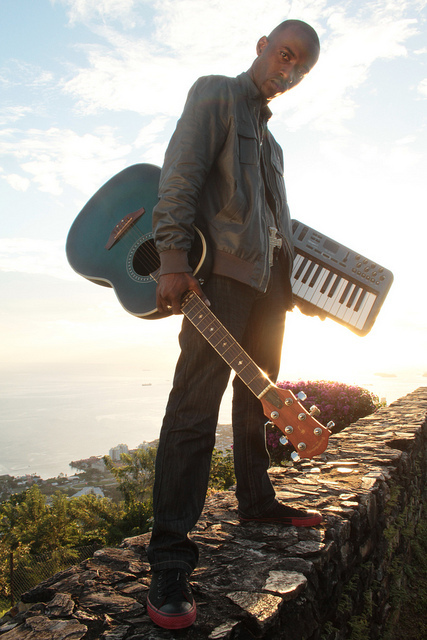 Composer, music producer and multiple-award winner Sherwin Gardner is a Godly force for the Kingdom who is spreading the gospel around the globe. As a producer, he has stamped his mark on an impressive list of artists like Vanessa Briggs, Carlene Davis, Chevelle Franklyn, Monte G., Jadee, Jonathan Nelson, Pierre Sisters, Shiselon and Tiko & Gitta. As an artist, he has shared the stage with many of today’s gospel greats including Yolanda Adams, Fred Hammond, Kirk Franklin, Bishop T.D. Jakes, Donnie McClurkin, Papa San, Stitchie, Ben Tunker, BeBe and CeCe Winans, and Vickie Winans. He is also the former Media Director for Empowerment Temple Church, founded and pastored by Rev. Dr. Jamal Bryant, and serves as a media consultant for several churches throughout the United States and the Caribbean. With his latest release Borderless, Sherwin is determined to share the limitless power of the Lord, and wants his listeners to know that God, despite their background, class or economic status, can use anyone who desires to spread the Gospel. By the time Sherwin was five-years-old, he was singing and had taught himself the lyrics to Michael Jackson’s We Are the World. From there, his uncle, Kenny Patterson, began to prepare him for the stage. Sherwin made his public concert debut at the Himalaya Club singing the church classic He Touched Me.